I had made a “clean out the fridge” risotto a couple days ago. I chopped up a bell pepper and a red onion that needed to get eaten and threw in some frozen peas as well. And we had arborio rice in the cupboard, so a risotto was easy to throw together. 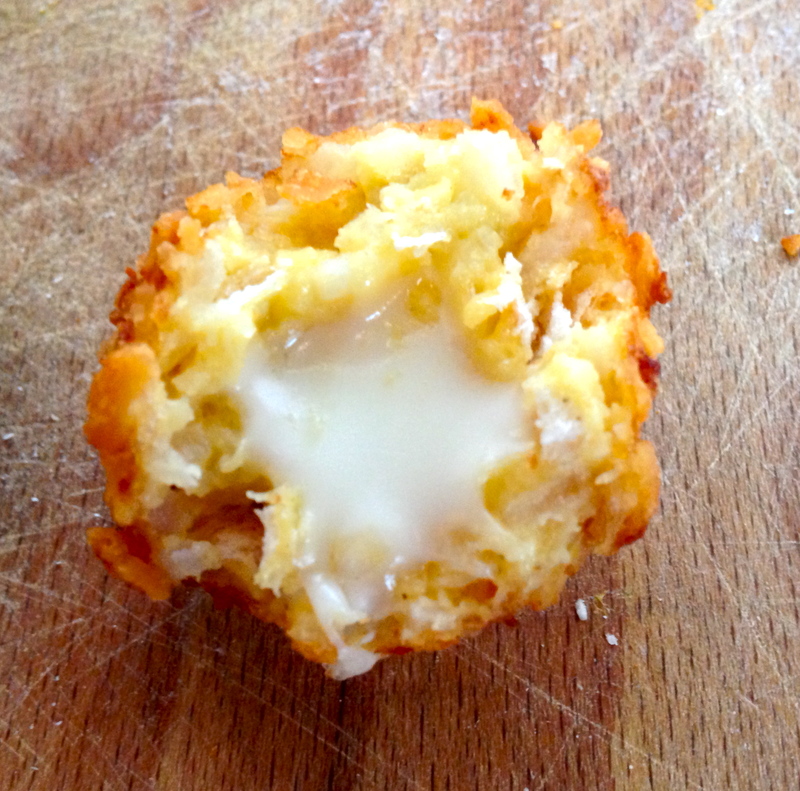 I ended up making more than I anticipated, so to use up the leftovers I decided to make arancini. 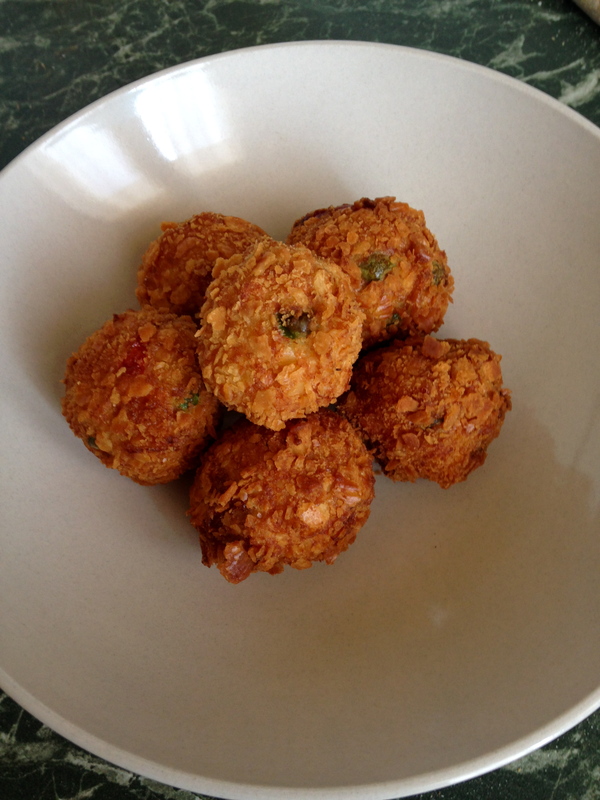 Arancini are fried rice balls, coated in breadcrumbs, generally stuffed with cheese. I was actually surprised and a little disappointed to realize we haven’t had any arancini in Italy yet. So I decided I would just make my own at home! I simply mixed some breadcrumbs, parmesan cheese, and a couple beaten eggs into the leftover risotto. I then formed a patty with a couple tablespoons worth of risotto, put a piece of fontina cheese in the middle and formed a ball around the cheese. I then rolled the ball in breadcrumbs and then fried in peanut oil for 3-4 minutes until golden brown. It was actually the first time I have deep-fried anything myself at home. And I’m happy to say they turned out quite well! They were golden brown, the cheese melted in the middle, and it was a fun way to transform leftover risotto into a new dish. 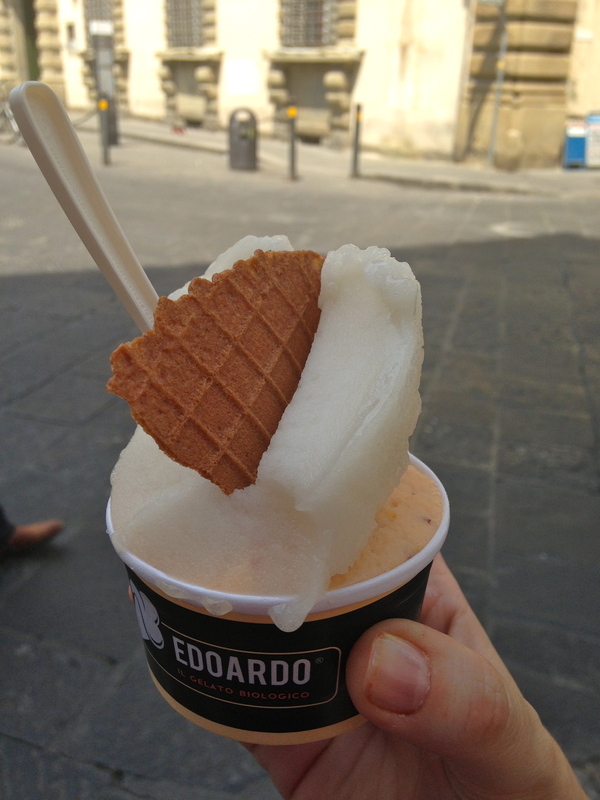 It was another hot day, so we decided to try out a new gelateria. 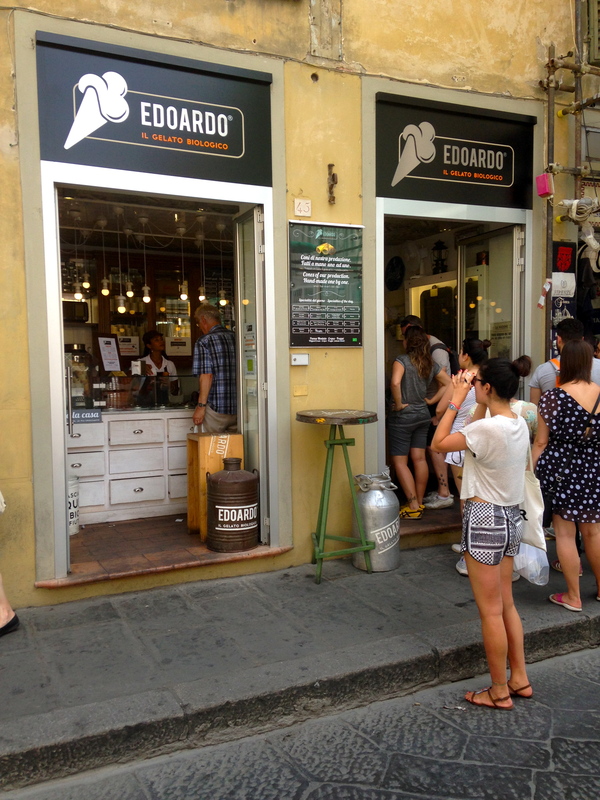 I had my eye on this particular place, Edoardo, for quite some time and it did not disappoint! They had some very unique flavors including a moscato sorbet. I paired it with a peach sorbet (the fruit/wine sorbet combo sounded best to me in the heat) and Joe had moscato with melon. My moscato/peach combination tasted like a bellini in ice cream form. It was such a great treat on such a hot day!